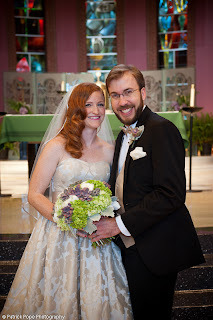 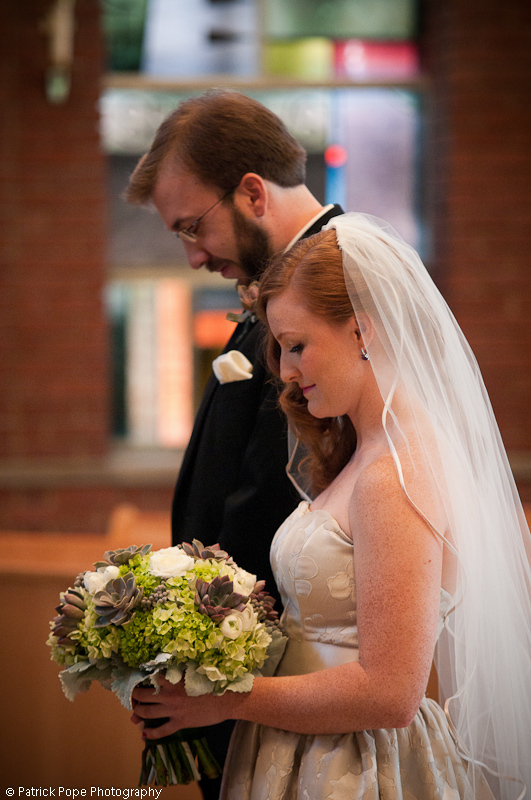 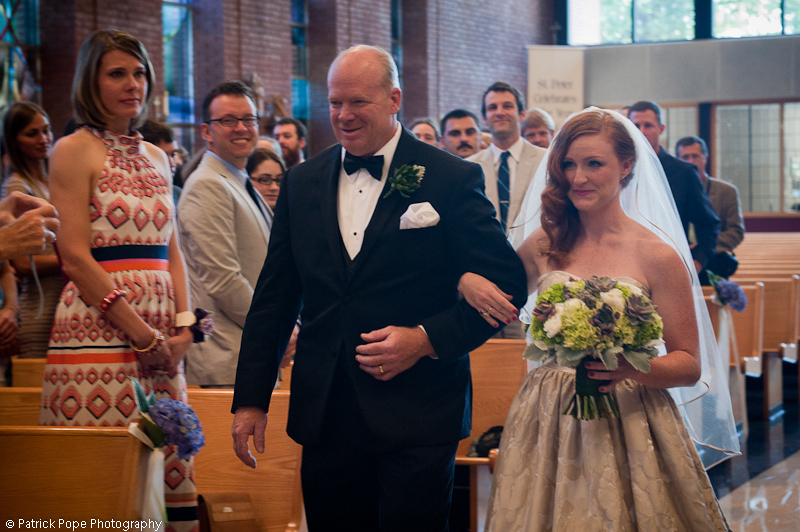 Megan and Andrew enjoyed a fun and formal wedding at St. Peters Church in Kirkwood. Their style was fun and organic, but still formal and elegant. Take a look at how we designed for them keeping their personal style in mind. Photos by Patrick Pope Photography. 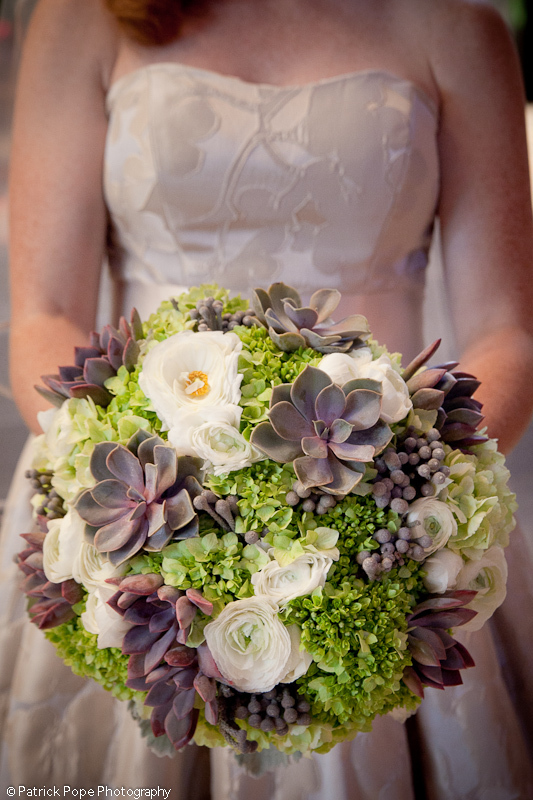 The bridal bouquet combined traditional blooms like hydrangea and ranunculus with the more organic succulents and berries. 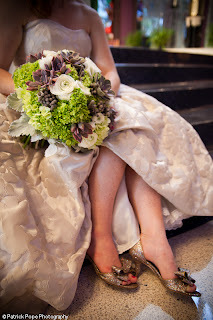 The overall look is still very formal in color and composition but adds some fun texture. 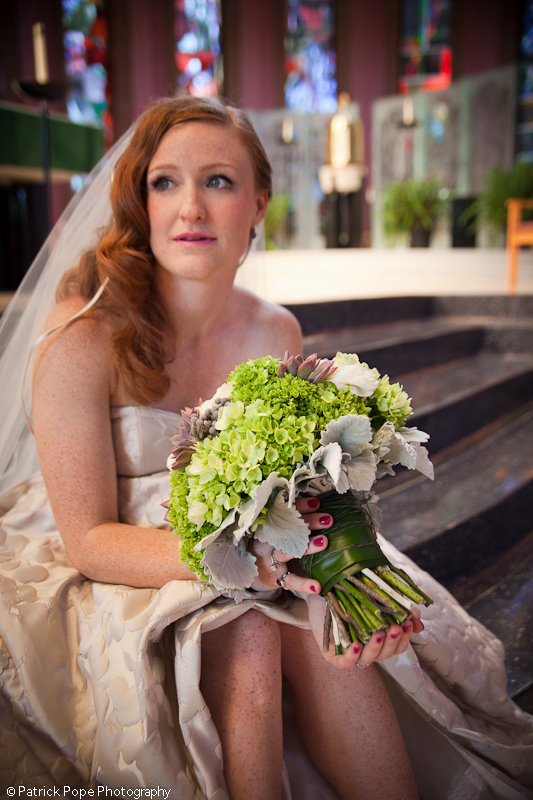 A leaf wrap was used to finish off the stems of Megan’s bouquet. 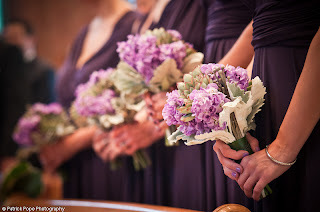 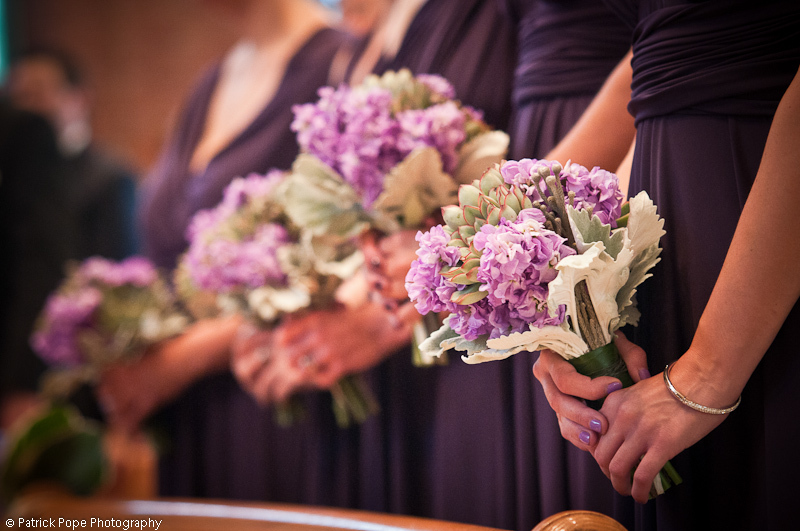 The bridesmaids’ bouquets mimicked Megan’s flowers in different shades.